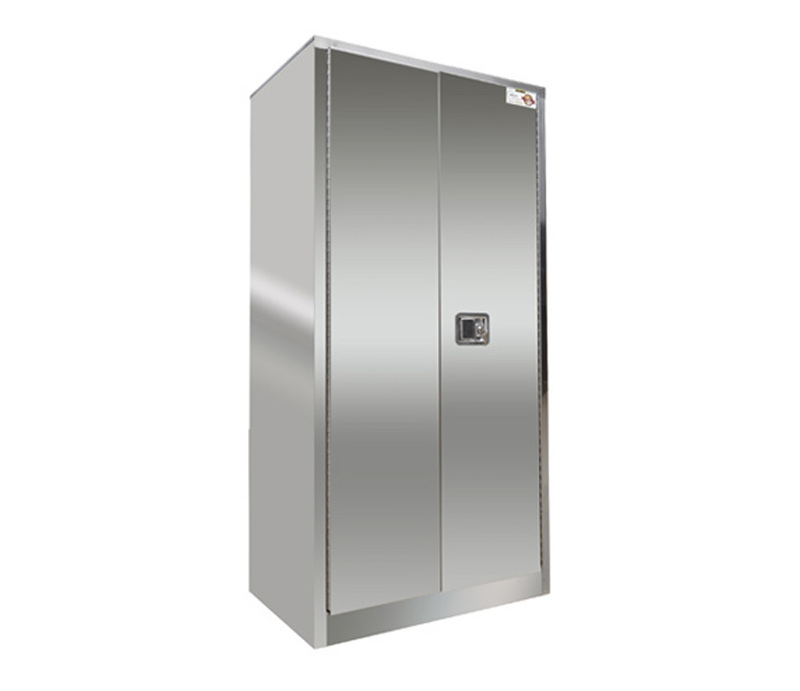 Stainless Steel Durable (18-gauge) 304 brushed stainless steel cabinets are equipped with adjustable shelves, flush mounted stainless steel locking handle and vents. 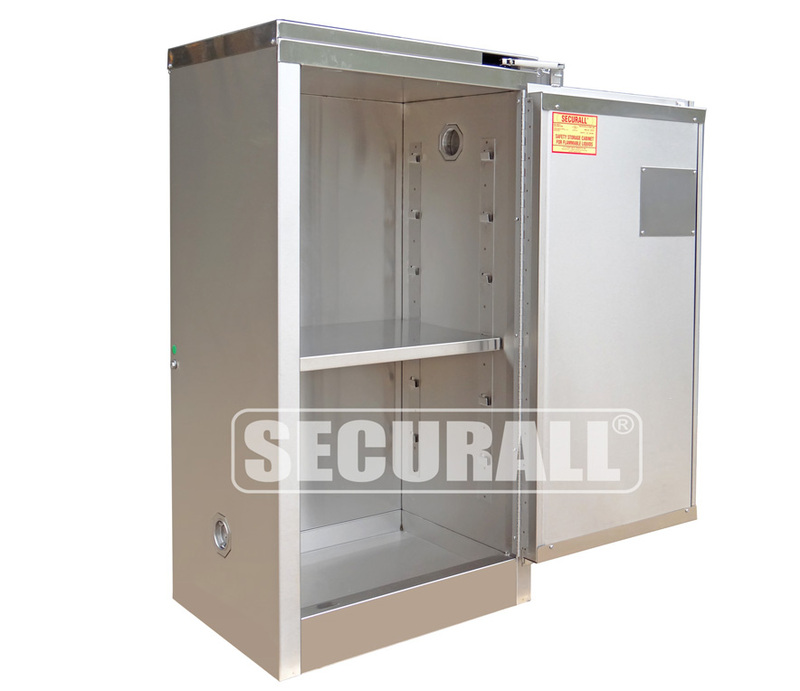 Cabinets are also equipped with four adjustable, stainless steel legs and heavy guage, stainless steel piano hinges. 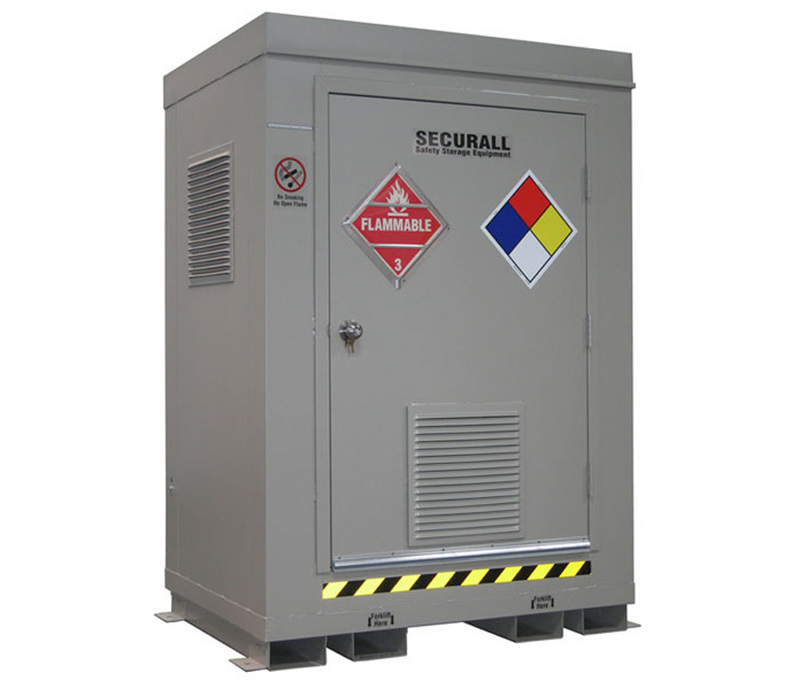 Standard Models from 12 to 60 gallon capacity. 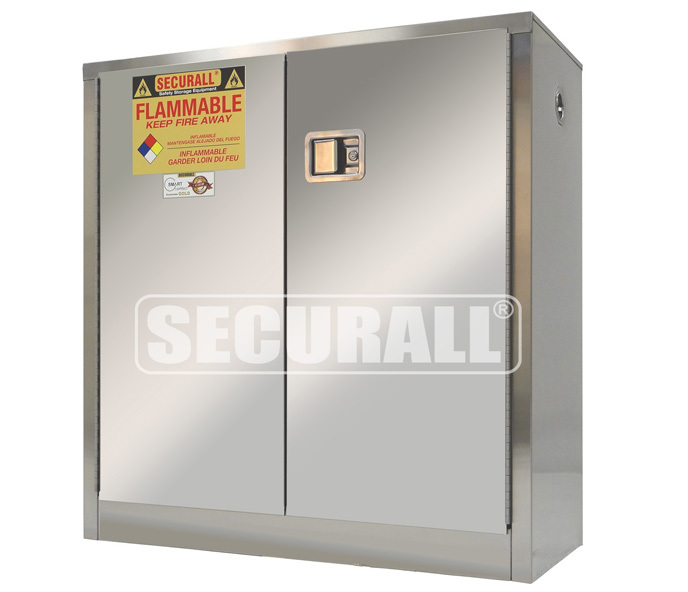 They are designed to meet safety requirements whenever a job involves the storage of flammable or combustible liquids. 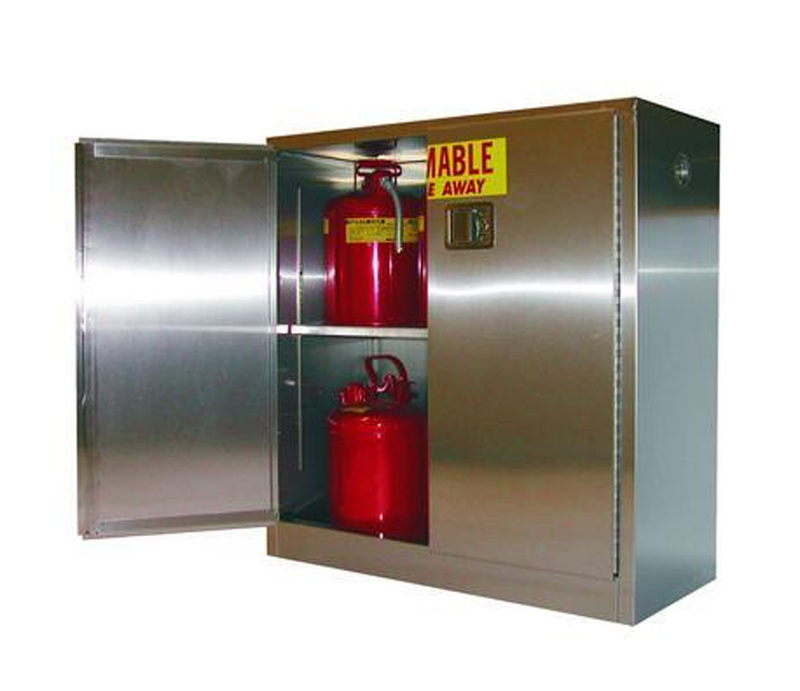 Smaller cabinets are convenient where space is limited. 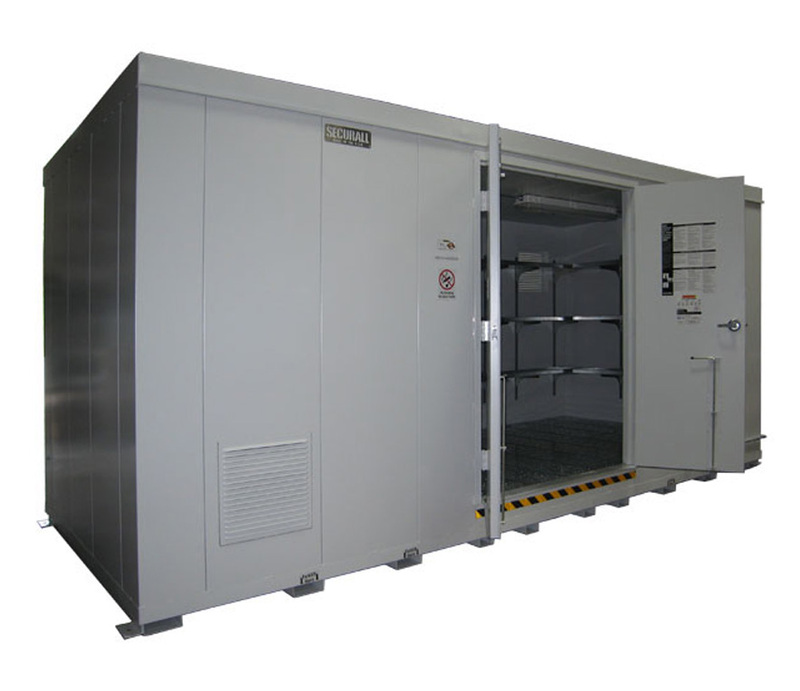 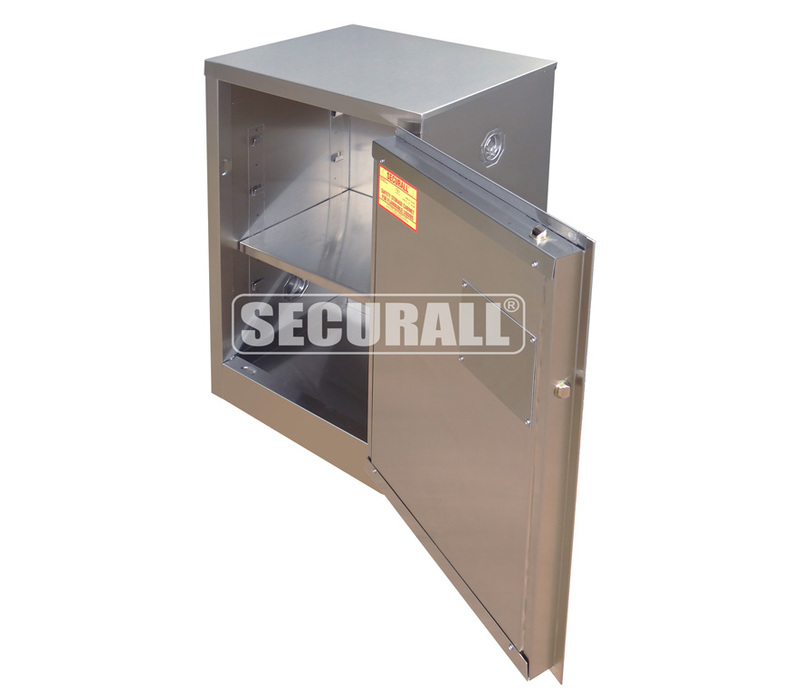 All Stainless Steel Cabinets meet OSHA and NFPA Code 30 Regulations, all models listed are FM Approved.